Triangular multi-layered flat bread. Lovely to dip into soup or use as a thick wrap. Can be used in place of pancakes. 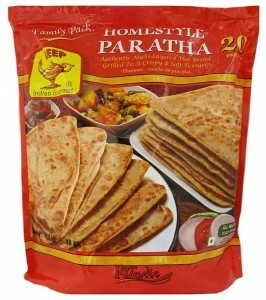 Ingredients: Wheat Flour, Water, Corn Oil, Salt, Sodium Bicarbonate. 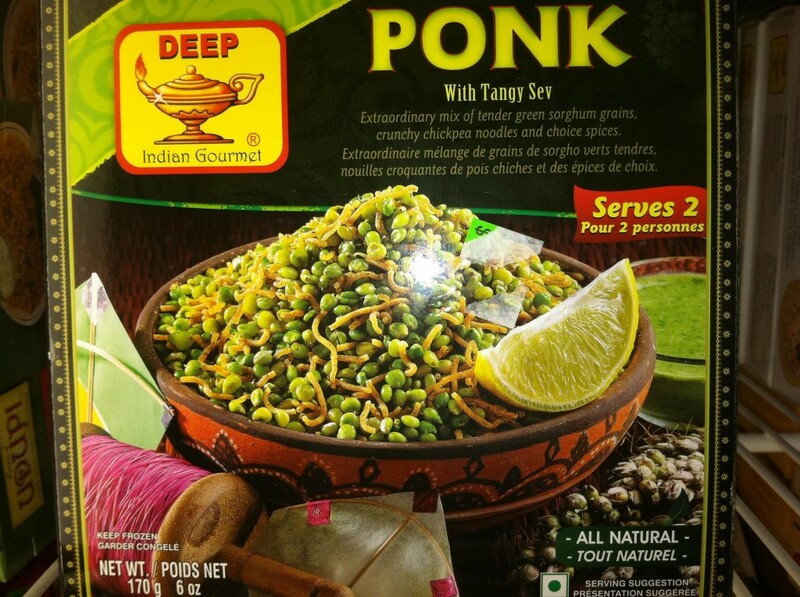 Who could go past a dish called ‘Ponk’? I just had to try it and it turned out to be a lovely spicy dish which uses grains that are like eating a cross between barley and baby peas. Very easy to prepare you can just microwave for 1 minute or leave out to defrost for a few hours then sprinkle on the chickpea noodles. Ingredients: Green Sorghum Grains and Sev (Chickpea Noodles): Chickpea Flour, Corn Oil, Spices, Salt, Citric Acid, Asafoetida.